An elegant Sterling silver teardrop frame holds a Swarovski® crystal encrusted Trinity knot cross. 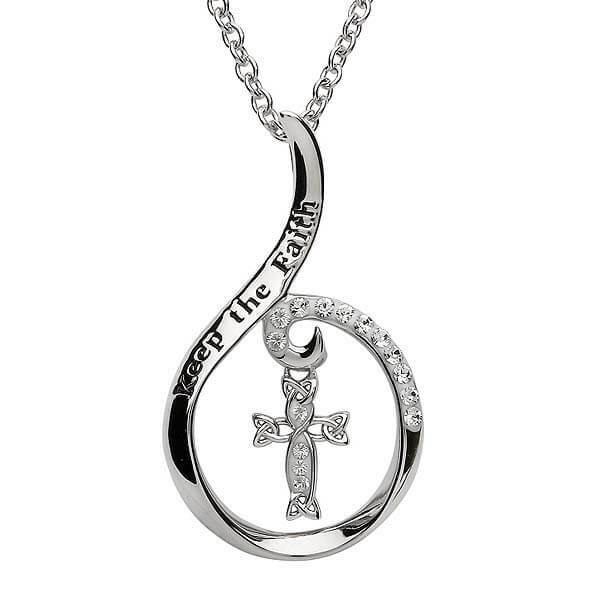 Above the cross the teardrop is engraved with the words, "Keep the Faith". 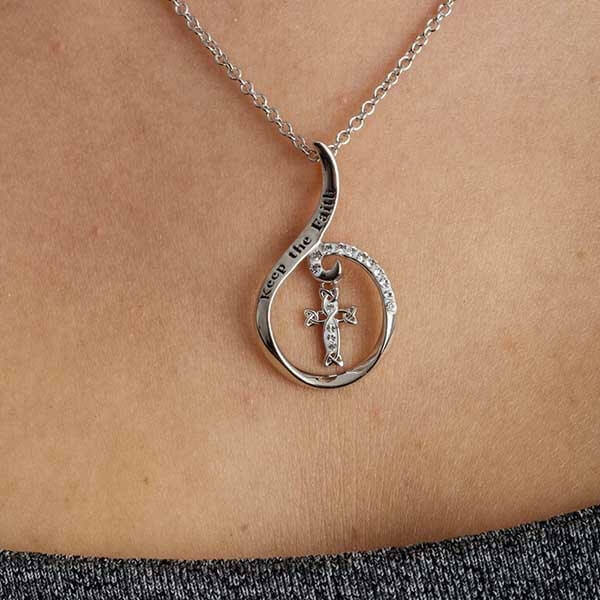 Several more white crystals light up the frame. 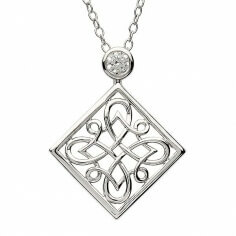 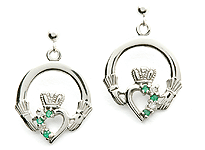 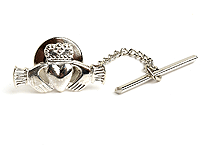 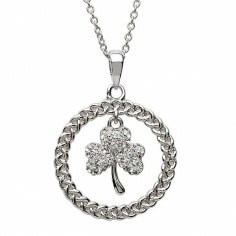 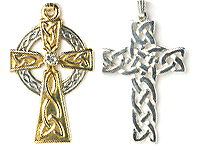 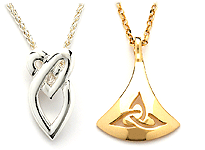 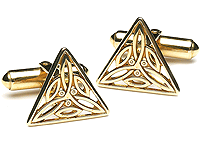 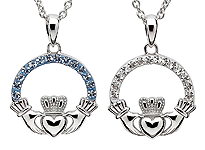 Handcrafted in Ireland by experienced artisans then hallmarked by the Dublin Assay Office.